Is it a front door garden? imagine a place to stop and sit for a spell and let the tensions of the day melt away before going inside. Is it a the back door garden? Imagine a retreat from the inside hustle and bustle of daily activities. Visit our display at the end of the 1,000 aisle at the YGP Show, booth #1701 to learn how we can help you to reconnect with your garden! 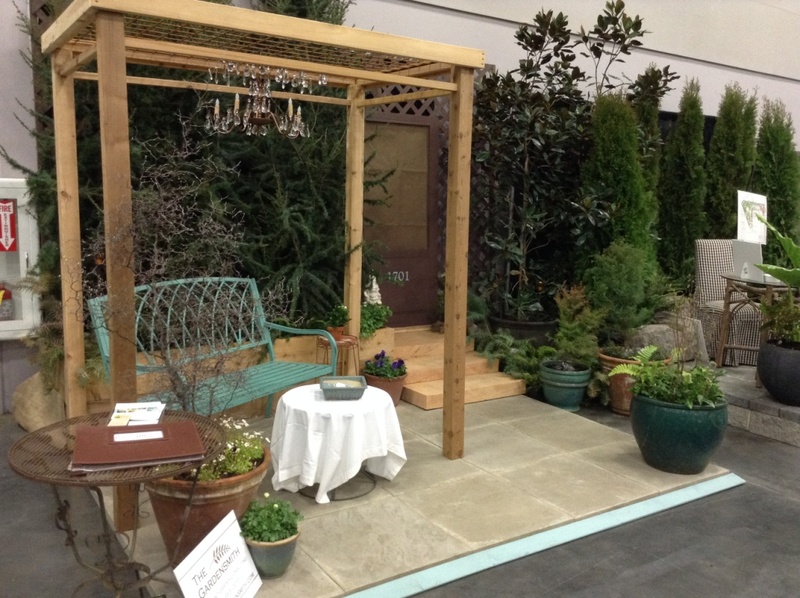 The Gardensmith's garden vignette at the Yard Garden & Patio Show. Posted in Uncategorized. Tags: Small Gardens, YGP Show on February 27, 2014 by Sarah Smith.